THE DEPARTMENT OF STATE'S ACCOMPLISHMENTS PROMOTING THE HUMAN RIGHTS OF LESBIAN, GAY, BISEXUAL AND TRANSGENDER PEOPLE (fact sheet), U.S. Department of State, Washington, DC: December 6, 2011. DOMESTIC VIOLENCE & SEXUAL ASSAULT IN THE UNITED STATES: A HUMAN RIGHTS BASED APPROACH & PRACTICE GUIDE, Miami Law Human Rights Clinic, Columbia Law School Human Rights Institute and ACLU Women's Rights Project, August 2014. FEMINIST SOCIAL JUSTICE WORK: MOVING TOWARD SOLIDARITY, Katherine O'Donnell, Societies Without Borders (volume 6 , pages 51-67), 2011. Copyright © 2011 Sociologists Without Borders / Sociologos Sin Fronteras. GETTING STARTED ~ STEPS TO BECOMING A HUMAN RIGHTS EDUCATOR, Rights Sites News (volume 5, issue 3), Discover Human Rights Institute of The Advocates for Human Rights, Minneapolis, MN: Fall 2009. "HOW WOULD THAT HELP OUR WORK? ": THE INTERSECTION OF DOMESTIC VIOLENCE AND HUMAN RIGHTS IN THE UNITED STATES, Karen Morgaine, Violence Against Women (ePublished), Sage, Thousand Oaks, CA: October 22, 2009. Copyright © 2009 Sage. HUMAN RIGHTS OF WOMEN (infographic), UN Women, New York, NY: 2014. INFORMAL JUSTICE SYSTEMS: CHARTING A COURSE FOR HUMAN RIGHTS-BASED ENGAGEMENT (summary and full report), UN Development Programme, UN Women and UNICEF, New York, NY: 2012. JIMMY CARTER: VIOLENCE AGAINST WOMEN IS THE MOST PERVASIVE HUMAN RIGHTS VIOLATION IN THE WORLD, Tara Culp-Ressler, Think Progress, March 24, 2014. Copyright © 2005-2014 Center for American Progress Action Fund. LEGAL AND POLICY ANALYSIS: HUMAN RIGHTS IN STATE COURTS 2011 (executive summary and full report), The Opportunity Agenda, New York, NY: August 2011. PRESIDENTIAL MEMORANDUM ~ INTERNATIONAL INITIATIVES TO ADVANCE THE HUMAN RIGHTS OF LESBIAN, GAY, BISEXUAL, AND TRANSGENDER PERSONS, The White House, Washington, DC: December 6, 2011. See fact sheet. RURAL WOMEN POISED TO GET MORE FROM TRIBAL JUSTICE, Amy Lieberman, Women's eNews, March 7, 2013. Copyright © 2013 Women's eNews. SOMETHING INSIDE SO STRONG: A RESOURCE GUIDE ON HUMAN RIGHTS IN THE UNITED STATES, U.S. Human Rights Network, December 10, 2003. 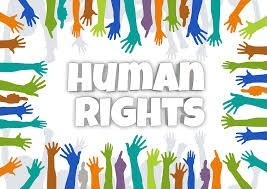 Synopsis written by Rus Ervin Funk, Louisville, KY.
STATE AND LOCAL HUMAN RIGHTS AGENCIES: RECOMMENDATIONS FOR ADVANCING OPPORTUNITY AND EQUALITY THROUGH AN INTERNATIONAL HUMAN RIGHTS FRAMEWORK, Campaign for a New Domestic Human Rights Agenda, 2009. See news release. THE TRUMP ADMINISTRATION'S DECISION TO WITHDRAW FROM THE HUMAN RIGHTS COUNCIL LANDS THE UNITED STATES ON THE WRONG SIDE OF HISTORY AND JUSTICE, North American MenEngage Network and Promundo-US, July 5, 2018. Note: NCDSV's Board Secretary, Rus Ervin Funk, co-wrote this statement. VIOLENCE AGAINST WOMEN AS A HUMAN RIGHTS VIOLATION, David Lee, California Coalition Against Sexual Assault, Sacramento, CA: October 26, 2009. VIOLENCE AGAINST WOMEN - A HUMAN RIGHTS DIALOGUE, Human Rights Dialogue (volume 2, issue 10), Carnegie Council on Ethics and International Affairs, New York, NY: Fall 2003. Synopsis written by Rus Ervin Funk, Louisville, KY. WORKING TO ADVANCE THE HUMAN RIGHTS OF LESBIAN, GAY, BISEXUAL, AND TRANSGENDER PERSONS GLOBALLY (fact sheet), The White House, Washington, DC: December 6, 2011.